January 23, 2019 2:44 pm. Tauranga trainer Mark Blackie could be in for his biggest day in racing when he takes a third of his team north for the Karaka Million meeting at Ellerslie on Saturday night. The Bay of Plenty horseman only has six horses in work and he is excited to have a good representation at one of the biggest meetings on the New Zealand racing calendar. “I haven’t been back training long and to have two running on Karaka Million night, one with a real genuine chance and the other with a bit of a chance, where you are on the big stage is a bit of a buzz,” Blackie said. Blackie will line-up Joy Anna in the Gr.3 Preferment @ Brighthill Farm Concorde Handicap (1200m), while Le Castille will contest the Gr.2 Westbury Classic (1400m). Le Castille has been in great form of late, winning her last two races and Blackie believes she is a big chance of adding black-type to her record on Saturday. “I think she can get some black-type in that field depending on luck in the running. It all comes down to the race on the day,” he said. 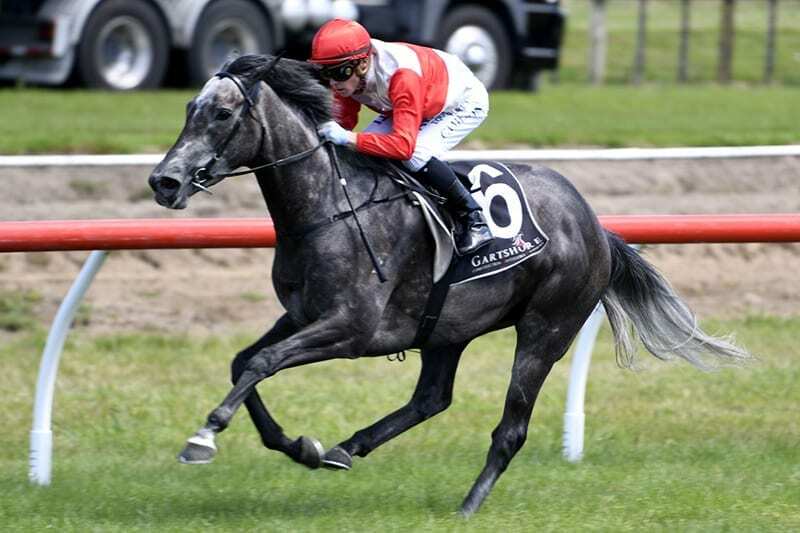 “She has done very well since her last run at Tauranga and thrived since. I can’t fault her, she has improved since her last run. Le Castille will jump from barrier six under jockey Vinnie Colgan and Blackie is confident he has her spot-on ahead of Saturday, but is hoping for a bit of improvement in the track. “I do really rate her because she has improved so much out of her last run, she will be peaking for Saturday,” he said. While he has high expectations for Le Castille, Blackie is more hopeful with Joy Anna’s chances in the Concorde. The daughter of Iffraaj was unplaced in both of her starts this preparation, but showed a glimpse of her ability when taking out her 935m trial heat at Cambridge earlier this month. “She has been a little bit out of form since she has come back, we have had a few leg problems with her,” he said. “She went okay her first start back. We thought maybe she didn’t want to be racing anymore so we went to the Cambridge trials to see where she was at and she seems to be back on her game now. Blackie said his charge should run a solid race on Saturday, but he expects there is still plenty of improvement left in the mare. “Going forward into the race, she will go okay but she is definitely still on her way up,” he said. A win on Saturday would be a career highlight for Blackie, who returned to the industry after a brief hiatus. “This is my third season back,” he said. “I only have six in work at the moment but I have a class A licence so it gives me room to expand. “About 2002 I gave it away, my partner and I were quite far away in Matangi, out the back of Hamilton, and it was quite a distance from Cambridge where I trained and I realised you pretty much have to be on the track to save costs. It was taking time and time is money. “I did a lot of rural fencing and I did a lot of work as a courier in that time but it was family reasons that I gave it away. It just wasn’t working and I needed a bit of a freshen-up. Blackie’s buzz has returned with the help of his two mares and he is hoping that will continue on the big stage at Ellerslie on Saturday.